Ryan Merriman has become a known face for a host of notable movies he appeared in. Starting from a very young age, the actor became a regular on TV and has maintained his popularity over the years. As early as the age of eight, Merriman was already popular on TV commercials as well as several theatre productions. At ten he was already working with stakeholders in the film and television faculty. It will be interesting to find out more about the talented actor. Here are lesser known facts about him. He was born Ryan Earl Merriman on April 10, 1983, in Choctaw Oklahoma. At the age of 8, Ryan started featuring in commercials and did lots of vocal performances. His presence was also felt in the theatres as he featured in lots of theatrical productions. Merriman greeted the big screens at the age of ten when he started appearing in films. He continued with minor roles until he landed a major part in The Mommies, a TV series that aired between 1993 and 1995. The 90s saw Merriman star in the series The Pretender. Since then, the actor has been engaged in lots of television films and movies as well. Some of them include; The Luck of the Irish, Lansky, Smart House, and many others. Ryan ended the 90s with the movie The Deep End of the Ocean (1999) where he played the role of the son of Michelle Pfeiffer’s character. In 2000, he starred in the film Just Looking. After a couple of movies, Merriman made appearances in some TV series including Taken, Dangerous Child, Smallville, and others. In the 2000s the actor starred in a lot of notable movies that have further projected his image in the industry. He is mostly remembered for his role in horror movies like Final Destination 3 which was released in 2006. Other notable horror movies include Halloween: Resurrection, and The Ring. In 2008, Ryan starred in Comanche Moon, a CBS miniseries. The talented actor joined the cast of ABC series Pretty Little Liars in 2010 and starred until 2014. He was also part of the cast in the 16th episode of Hawaii Five-0 Season 2. He appeared in The 5th Quarter in 2011. Merriman played the character of linebacker Jon Abbate in the movie which was based on the 2006 football season of Wake Forest Universty. Ryan Merriman has shown great determination in the industry and hopes to rise higher in the years to come. He has his net worth estimated at $2 million by several sources. However, the actor is quite private about his income and as such, has not revealed what his salary looks like. But regardless, the aforementioned amount could become a trifling figure to the actor, given his talent and determination. Ryan Merriman was born to Earl and Nonalyn Merriman. The actor has a sister named Monica Merriman. Ryan had all the support he needed from his parents as a child. His parents who supported his show biz venture at his tender age while growing up were always there for him. This was the major motivation behind his early appearances in commercials and theatrical productions. 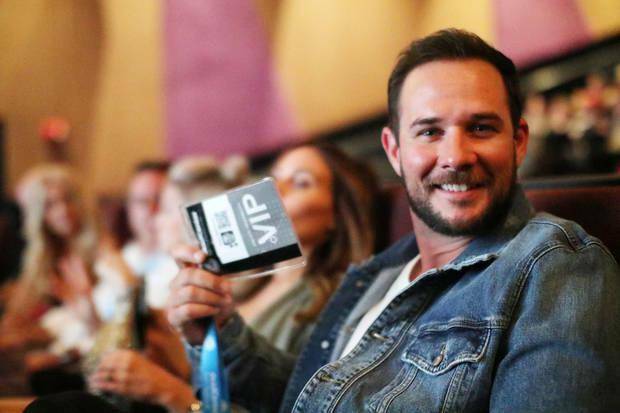 Ryan Merriman has quite an interesting personal life that never escapes the prying eyes of the media. He has been married twice. Merriman’s first marriage was with Micol Duncan. They got married in 2004 but divorced after seven years in 2011. The circumstances surrounding the divorce was never really known. The actor got married the second time to Kristen McMullen. The couple began their relationship in 2011 and in 2013, they were engaged after the Pretty Little Liars actor popped the question. The two lovebirds tied the knot in an intimate wedding ceremony in September 2014. Before Kristen, the actor reportedly dated actress Mary Elizabeth Winstead for some time and later parted ways with her. The talented actor also known for his very good looks has got the right body that suits his career. Ryan, with his dark coloured hair and blue eyes, stands at a tall height of 6 feet 0 inches (1.85m) which is quite proportional to his weight of 66 kg.